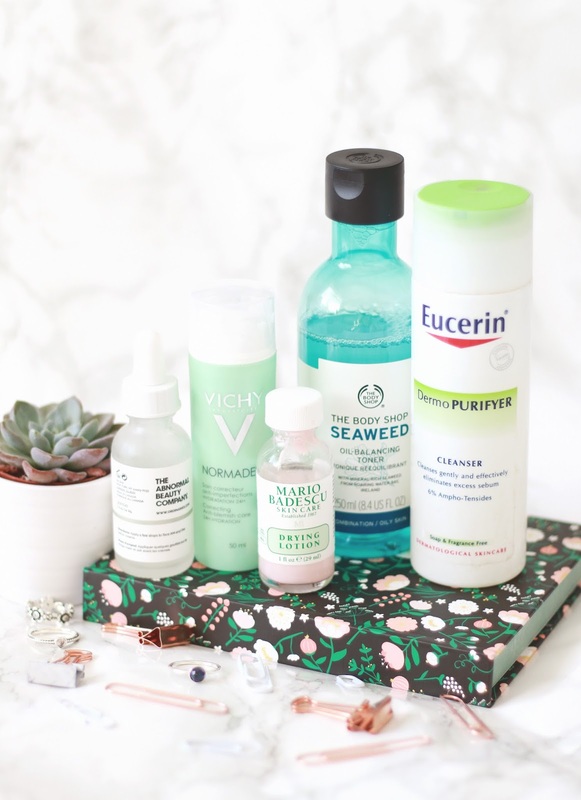 As much as I love makeup, I’m also quite the skincare fanatic as well! I write up about my skincare routine every once in a while, well every time the products switch around I guess. And it has come to that time once again, where I talk you through my skincare routine and what I’ve been lovin’! First up, to remove my makeup I use the trusty Garnier Micellar Water. I haven’t used anything else for about two years now, as I just love it so much. Its gentle, and removes my makeup really well. Then onto cleanser. I’m all about that double cleansing life. Since my last skincare routine, my skin has basically just turned to sh*t. Its broken out, I have scarring, under the skin spots, blackheads, dry patches, just everything that could be wrong, has gone wrong. So, to try and tackle my spottiness (lol), I’ve been using the Eucerin Dermo Purifyer Cleanser. This is just a simple cleanser, that has apparently been recommended by a lot of dermatologists and I mean, it seems to be doing okay for skin thus far. After cleansing, we’re on to toning. After my success with The Body Shop Seaweed Mask, I decided to try their Seaweed Oil-Balancing Toner. I absolutely freaking love this stuff. I could not recommend it enough if you have combination/oily, or blemish prone skin. Its really settled down my skin, reducing some of the scarring and generally just balancing everything out. I love it! Then we have serum. I never used serum until about 6 months ago, and now I can’t go without. I’m currently using The Ordinary Hyaluronic Acid 2% + B5. Hyaluronic acid is meant to help plump up the skin, and keep it hydrated – I think?! I’ve been enjoying using this none the less, as its really refreshing and I can feel my skin drink it up! Finally, we have moisturiser. I was on the hunt for a new one, and I stumbled across the Vichy Normaderm Anti-Blemish Cream. Like I said, my skin is really playing up recently, so this sounded perfect. It has quite a strong scent to it, so if you’re not a fan of fragranced products, I’d steer clear of this. Although I really like the smell, and it seems to be working quite well at keeping serious breakouts at bay. Its quite a thick cream too, so I really feel as though its doing something for my skin. Finally, to tackle pesky spots, I use the Mario Badescu Drying Lotion. This helps to dry out any spots that are lingering, and I’ve found it really works, better than sudocrem in fact.